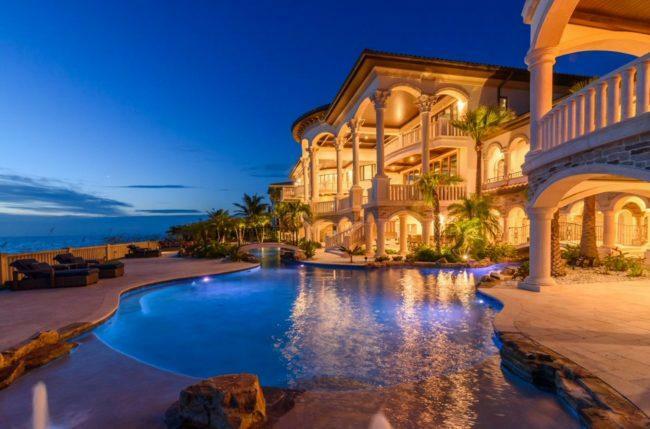 A former baseball star who played for Major League Baseball’s Philadelphia Phillies sold a waterfront mansion near Clearwater for $16.5 million, the highest price ever paid for a Tampa-area home. Ryan Howard, the Phillies’ former All-Star first baseman and National League Most Valuable Player, sold the three-story residence at 1700 Gulf Boulevard in Belleair Shores, a town just south of Clearwater. The mansion has more than 200 feet of frontage along the Gulf of Mexico. Its exterior features include a “lazy river” swimming pool with bridges, a waterfall, bar and grotto. The interior living space spans more than 19,000 square feet and encompasses eight bedrooms, seven bathrooms and four powder rooms. A bowling alley, secure art room and wine room are among the interior features. The residence also has an eight-car garage, a gym, game room with bar, home theater, library and panic room. The listing agents were Jackie Diaz and Karen Hegemeier, who are based in the Clearwater office of Premier Sotheby’s International Realty. Rafal Wazio of Coldwell Banker brought the buyer.